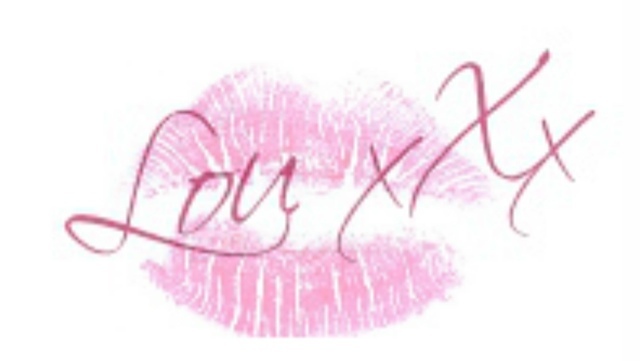 Lou Loves Beauty: Armani Eyes to Kill Intense Shadows | Worth the Price Tag? 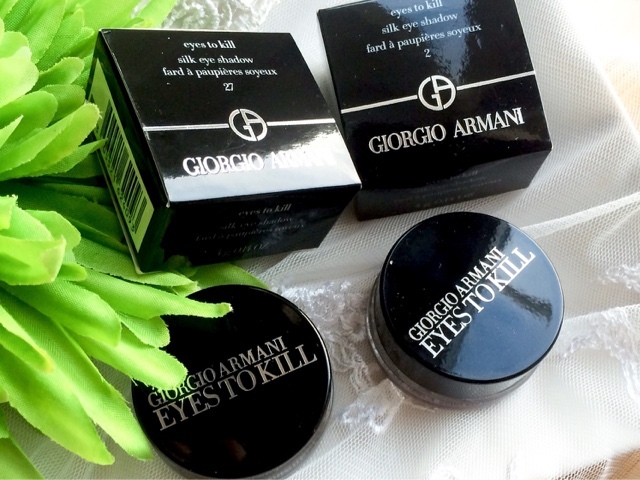 Armani Eyes to Kill Intense Shadows | Worth the Price Tag? 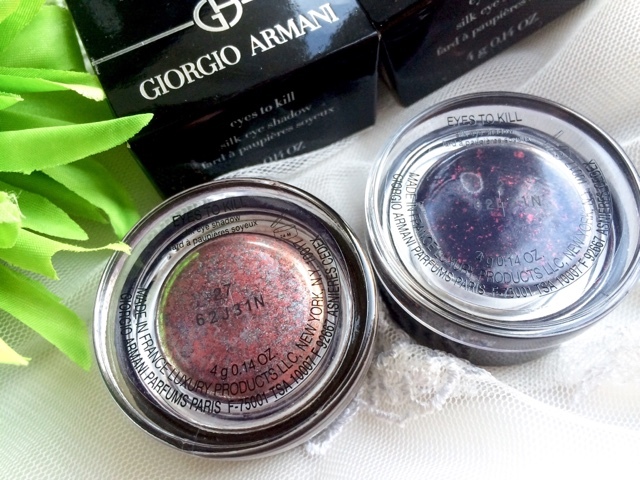 For my first dip into the Armani Beauty line I decided to invest and try out their Eyes to Kill Intense Shadows. At £27.00 a pop they're not cheap by any means, and one of the main reasons I decided to splash the cash was because I had a voucher burning a hole in my pocket. The two shades that stood out the most and unlike anything else in my stash were shades '2' and '27' ( they don't have names, just numbers). 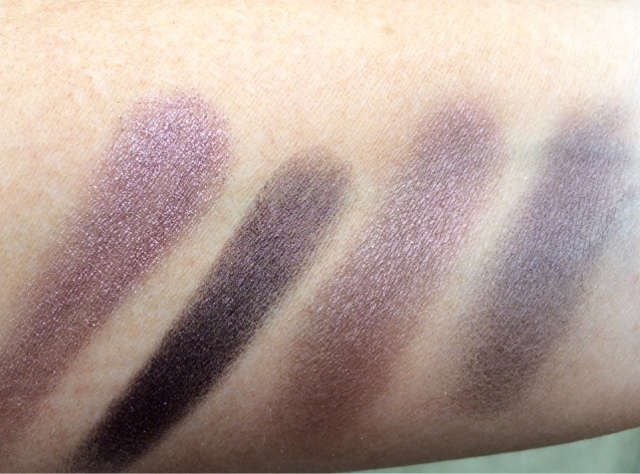 L-R Shades '27' and '2' swatched and then blended out. Shade '27' is a pinky rose shade with silver pewter flecks running through it. It's so unusual and a colour I never normally go for - it's edging on the cool tone and I normally go for warms. In different lights it takes on different tones. Sometimes more pinky, sometimes silver, and sometimes even more purple. It's a very interesting colour. 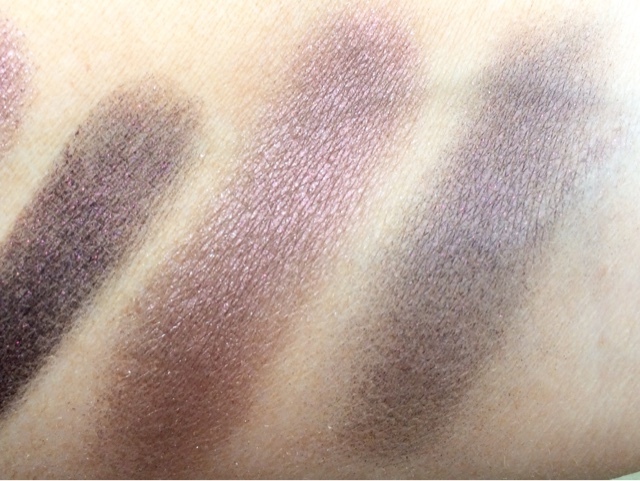 Both shadows are a pressed pigment so I was excepting them to pack a punch when it came to colour pay off. And this one did. It's a beautiful colour, that feels like butter when swatched, and goes on seamlessly blending out well on the lids, and only losing a tiny bit of the colour and sparkle that was initially laid down. As formula's go it's good, just nothing ground-breaking as for colour payoff and effect goes. My initial worries were confirmed when I tried out Shade '2'. A black with red flecks shimmering through it. Out of both the shades I got this was the one I was most interested in. I imagined it being blacker than black with a deep red undertone, that when caught in the light would look duo chrome. Unfortunately I'm rather disappointed with the outcome. The black isn't black, more of a dark wishy washy grey. And to build up any intensity on the lids to look anything half decent or noticeable means I have to pack the colour on more times than acceptable for such an expensive product. The red flecks that I thought would cast some interest to the lid seem to disappear and fade into oblivion. As you can see from the photo above, the initial swatch is ok, you can see some interest in there and the red flecks are more noticeable. But once you touch it with a brush all the intensity blows away and you're left with a shade that resembles an old black T-Shirt you've washed 1'000 times - grey! For me this shade is nothing more than a barely there colour, not back, not a blackened red, hell I don't know what to call it. 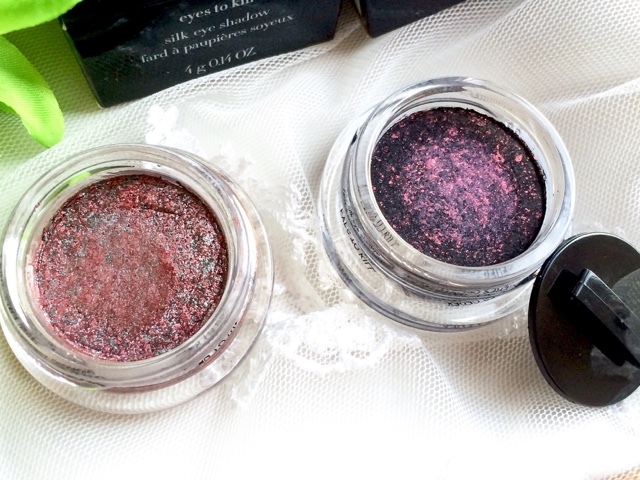 For a pressed pigment it lacks, well, pigmentation and definitely staying powder! Of course they're not both horrendous, Shade '2' lets the side down, and not what I was expecting from such a high end brand. I've bought better shadows from the supermarket which have more guts to them then this one. If you fancy treating yourself to some high end shadows my all means try these, but take my advice and give a Shade '2' a miss! Have you tried any of these out before? I would love to know what you thought of them.